I recently had the pleasure of mentoring Gilda Temaj, an outgoing senior in high school who interned with Historypin last fall. Gilda, who grew up in Guatemala, made her way to San Francisco at age 16 to live with her older brother and pursue an education that was not an option for her back home. She enrolled at International High School in the city, where she took advantage of all the resources the school had to offer, including an internship opportunity with Historypin. Many students at the school are new immigrants to the United States, speaking no less than 18 different languages, and like her fellow students Gilda worked hard to learn English while immersing herself in a new cultural experience. I’m especially proud of how she is challenging preconceived expectations of those new to the country, and many others are covering her inspiring journey. Gilda at the Historypin office in San Francisco. 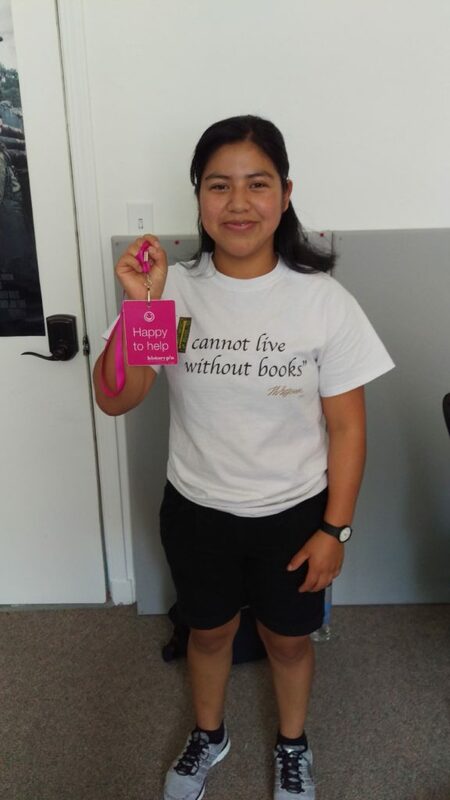 Gilda expressed how grateful she was for her time at Historypin and seeing how storytelling can be used for good (“where you actually do good and enjoy your job!”). I even visited her class where she presented on a panel about the best way to include marginalized people in the richness of San Francisco, using what she learned in her internship about local engagement through storytelling. 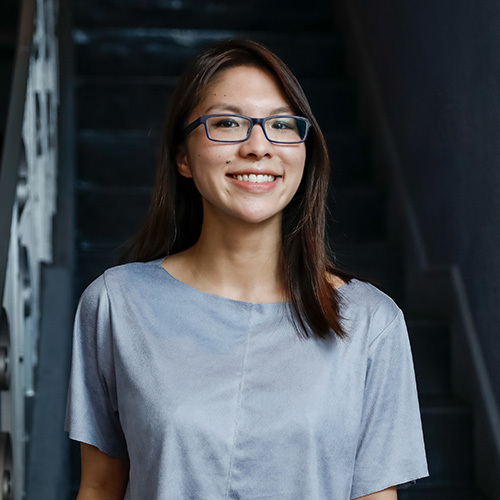 Throughout her time as an intern, Gilda was very helpful with tasks needed to keep Historypin running behind the scenes, and her main project centered on a collection about her father, who is currently living in Gilda’s hometown in Guatemala. She created “The Important Places In My Father’s Life,” based on interviews with her father over the phone. Making this a team effort, Gilda also enlisted the help of her sister, who helped to transcribe their conversations in Spanish so Gilda could translate them to English. 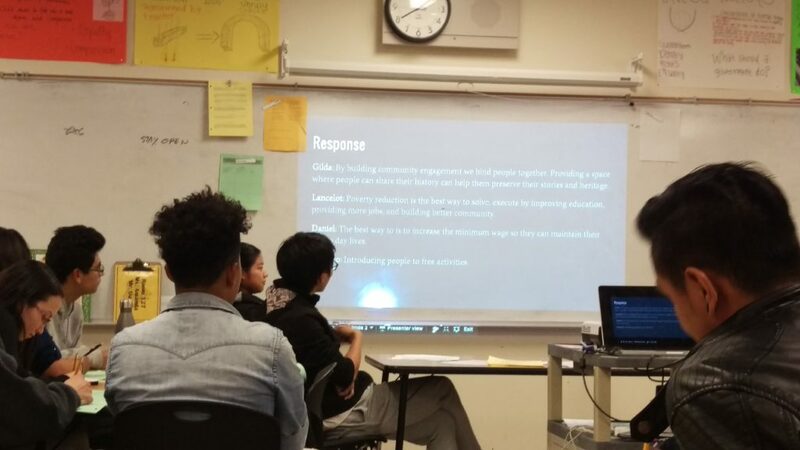 Gilda participating in a panel presentation at International High School on Dec. 1st, 2016, using Historypin as an example for how to bind communities together. 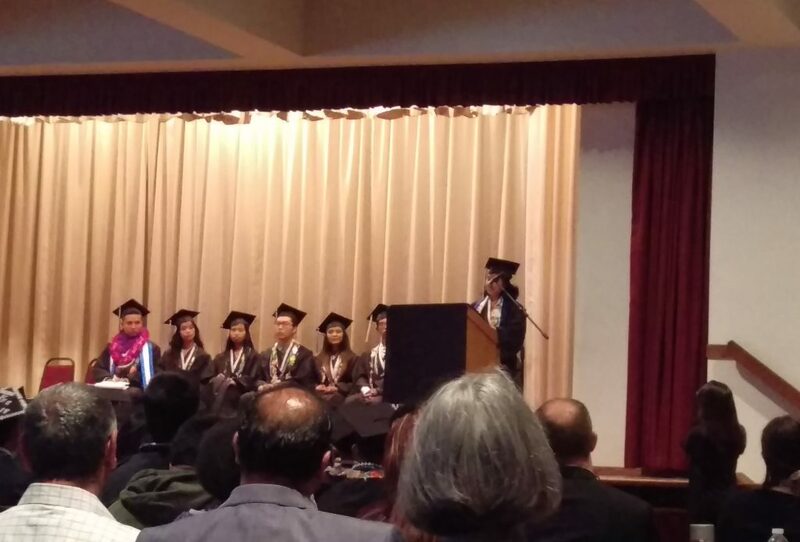 Gilda speaking at International’s graduation ceremony this past May. 1. How did your internship with Historypin help you achieve some of your own development goals? engagement to bring people together. 2. Describe your experience of putting together the Historypin collection about your father. Before doing the internship at Historypin I did not know about my dad’s favorite and memorableplaces. In our culture it’s not common to have a conversation where we get to ask questions toget to know our fathers better. However, through this type of activity I have gotten to knowmore about my dad. This project gave me an excuse to get some of my questions answered. Itwas not hard to collect the information for the collection, because I enjoyed and will enjoylearning about my dad. 3. Why do you think people should add their photos and stories to Historypin? keep their memories and the memories of their communities alive. 4. What are you most excited about for starting at UC Berkeley? I enjoy learning and at UC Berkeley I will have as many resources as I will need to explore my mind and grow as a scholar. The campus offers such incredible opportunities! I have taken a course through summer bridge where I learned about its complexities. But most importantly I learned some practices, process, and partnerships that will help me thrive at Cal [UC Berkeley]. If you are interested in learning more about our internship program, feel free to contact me at kerri.young@historypin.org.